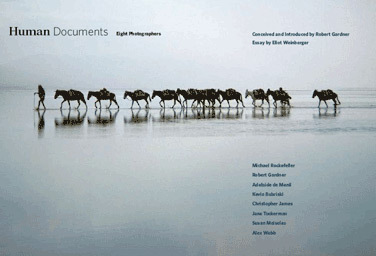 Human Documents, a book showcasing the work of eight photographers – Kevin Bubriski, Robert Gardner, Christopher James, Susan Meiselas, Adelaide de Menil, Michael Rockefeller, Jane Tuckerman, and Alex Webb. In this book Robert Gardner introduces the work of photographers with whom he has worked over a period of nearly fifty years under the auspices of the Film Study Center at Harvard. Their images achieve the status of what Gardner calls “human documents:” visual evidence that testifies to our shared humanity. In images and words, the book adds to the already significant literature on photography and filmmaking as ways to gather both fact and insight into the human condition. In nearly 100 images spanning geographies and cultures including India, New Guinea, Ethiopia, and the United States, Human Documents demonstrates the important role photography can play in furthering our understanding of human nature and connecting people through an almost universal visual language. Author and cultural critic Eliot Weinberger contributes the essay “Photography and Anthropology (A Contact Sheet),” in which he provides a new and intriguing context for viewing and thinking about the images presented here. Visit The Berkshire Review for the Arts to read Michael Miller’s review of Human Documents.